Add fitness apps to the long list of things smartphones do well. There's no shortage of fitness apps out there, but here are five of the best. Most of these apps rely on the GPS technology in your smartphone to provide location and speed data. They are available for both Android and iOS operating systems, so whether you have an iPhone or an Android smartphone, you're good to go. Deep integration into frameworks like Apple HealthKit. Well-known app with large userbase. Great as a stand-alone app; not-so-great if you want a more encompassing app that covers nutrition, sleep, etc. Not clear what value proposition attaches to Runkeeper Go. Runkeeper is one of the earliest running apps, and it has added and enhanced its features to remain one of the best fitness apps. Casual and serious runners alike benefit from using Runkeeper. Whether you are tracking your progress toward a 5K goal or training for a marathon, this app has something for you. Runkeeper Go is the premium version of the app. 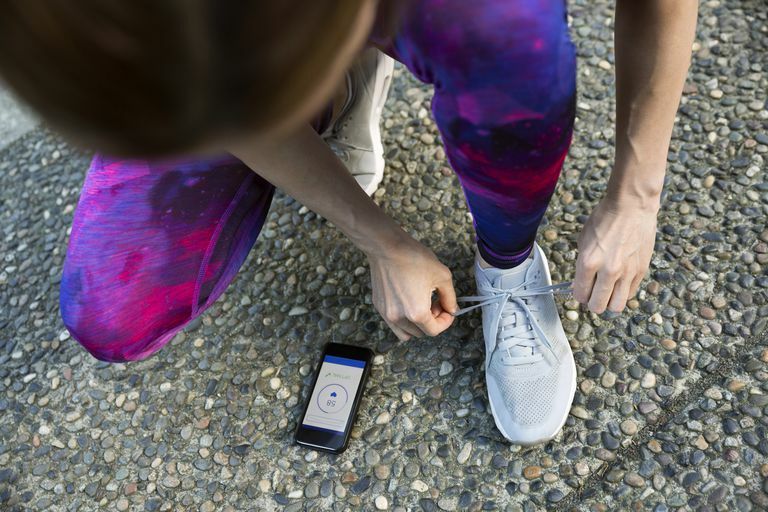 With it you receive customized weekly workout schedules tailored to you, live tracking on social media, a record of weather during your runs, and progress insights. Runkeeper for iOS and Android mobile devices is free with in-app purchases available. Apple Watch users can leave their iPhones at home and still track their runs. Good overall design with great workout-focused features. Nike's app environment seems a bit duplicative. More emphasis than necessary on social sharing. Personalized training plans that adapt as you use the app. Nike trainers to help you master techniques and get the most from every workout. The Nike+ Training Club app syncs with Google Fit and is available free for iOS and Android mobile devices. Nice balance of free and paid features. Isn't just limited to running and cycling. It's a stand-alone app in a universe of federated apps. Clear emphasis on cardio, which isn't helpful if you're looking for a more full-featured solution. Record your stats for additional sports, including hiking, alpine skiing, rock climbing, gym workouts, and CrossFit. Users who upgrade to the Pro version of Stava Running and Cycling receive tailored plans and gain live features to help train, along with advanced analysis and performance metrics. Strava Running and Cycling apps for Android and iOS and mobile devices are free with in-app purchases available. Appropriate segmentation of different types of poses with levels of difficulty. Yoga-only app is a stand-alone from any other apps you use for your health. Annual pricing models at this price point might surprise you 364 days from now. A 2-week free trial of Yoga Studio: Mind & Body app for Android and iOS and mobile devices is available, followed by a monthly or annual fee. Yoga Studio: Mind & Body is also available for Windows 10 and Apple TV. Interface design isn't all that elegant. Elite upgrade is a bit pricey for a stand-alone health app. The Abvio Cyclemeter app for Android and iOS and mobile devices is free with in-app purchases available.